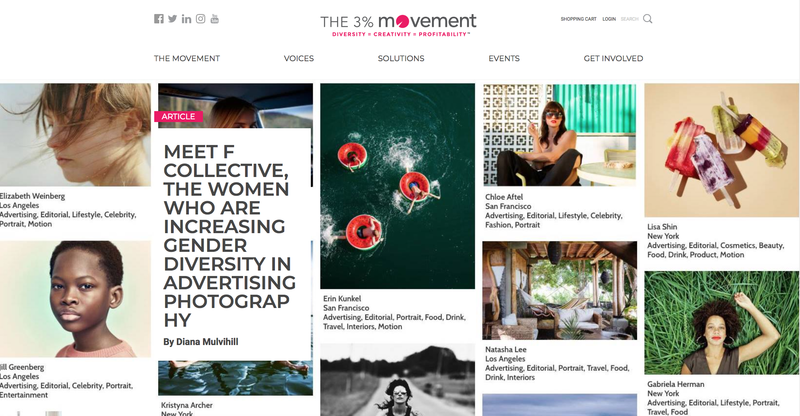 We are really grateful to have the support of the 3% Movement, which champions women Art Directors. Please check out this interview that they did with us: Meet F Collective, the Women Who Are Increasing Gender Diversity in Advertising Photography. F Collective is an initiative that asks brands and their agencies to pledge to present a female photographer option on each job, with a goal of increasing gender diversity in advertising photography.